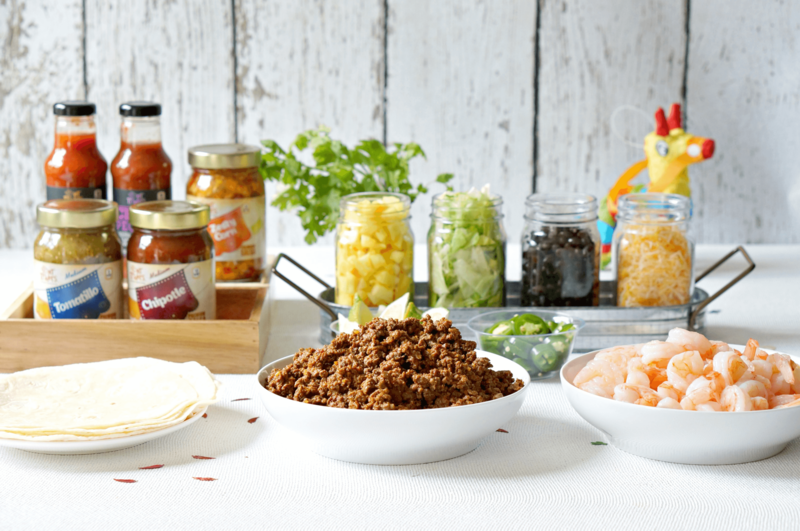 Our Ultimate DIY Taco Bar Party is low on effort and easy on the budget. 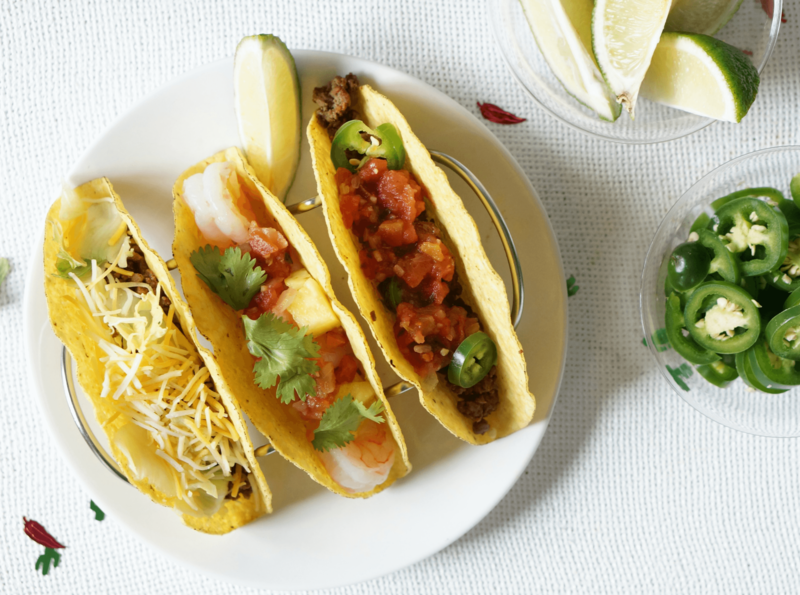 Round up your friends this Cinco de Mayo for tacos with these fun hosting tips. I avoid dining out on food-focused holidays. No thank you to being crammed into the corner on Valentine’s Day and waiting hours for a margarita on Cinco de Mayo. Nope. Not gonna do it. 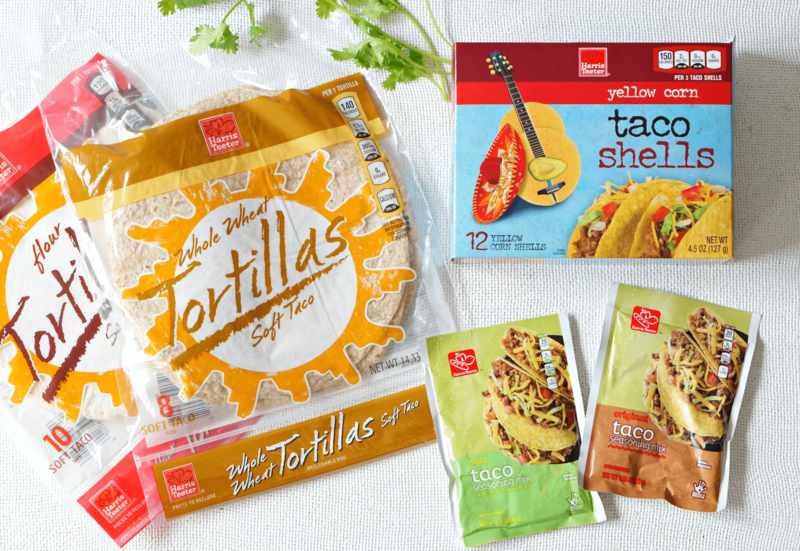 Instead, we’re inviting all of our friends over for a super-simple DIY Taco Bar Party. Hosting has never been easier. With just a few ingredients to prep, and incredible sauces and salsas from your local Harris Teeter, this just might be your go-to for party food all summer long. Y’all! These are the best! If I’m hosting kids, I use the Harris Teeter ‘Mild’ Taco Seasoning, otherwise the ‘original’ is my jam. No need to bust out random spices from the back of the pantry. Simply follow the instructions on the back of the packet for perfect taco meat every time. Dice, chop, mince and cook before the guests arrive. Lettuce, fresh pineapple, tomatoes, and jalapeños can all be chopped up and plated earlier in the day. Just hold off on the guac, as that’ll brown if you do it too early. Taco meat and cooked shrimp can be microwaved right before you want serve guests. 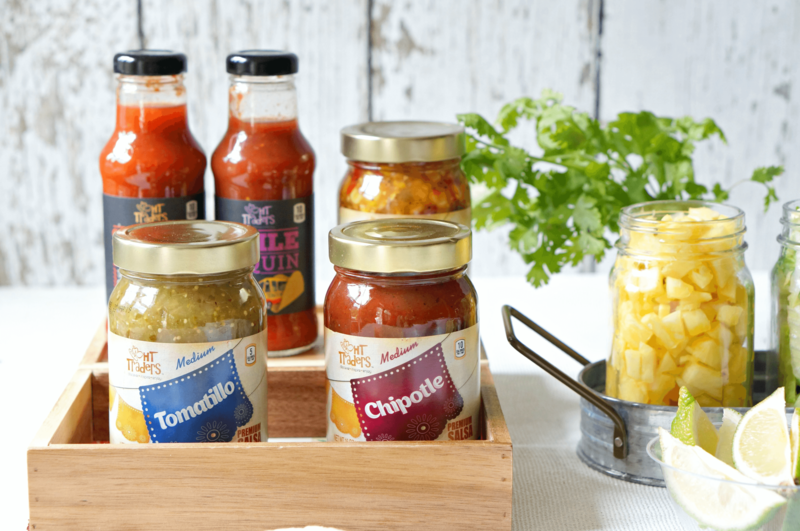 Browse the International aisle at your local Harris Teeter for interesting salsas and sauces. I really love the HT Trader’s Sriracha Big & Bold Taqueria Sauce and the HT Trader’s Chipotle Salsa. I like to use cutlery holders for risers on a taco bar so everyone can clearly see the sauce options. 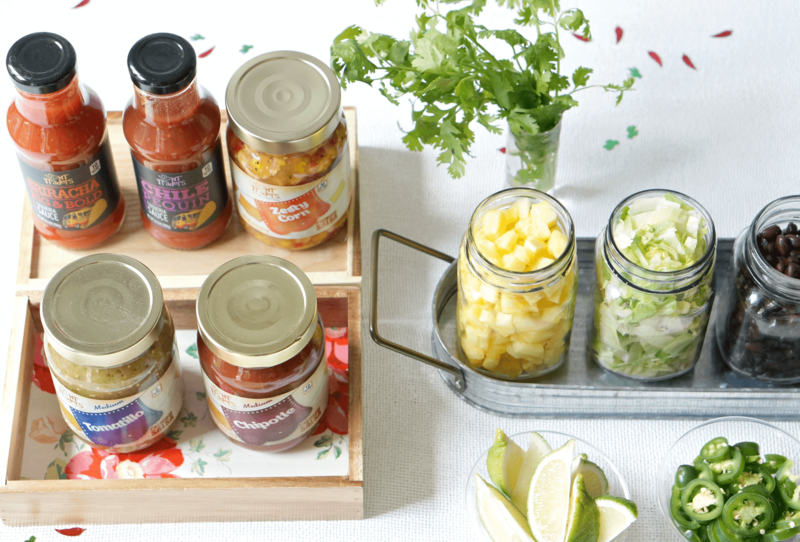 Mason jars are a great way to show-off fresh ingredients! You’ve done the the hard work! Have your friends bring the beer and margarita fixins! Have a cooler ready so that you don’t have to cram drinks in your already packed fridge.